His laughter was salt in my wounded pride. “Hey, they caught our waterproofing on fire.” It would be a while before I forgave them that move. Tom just laughed harder, and I narrowed my eyes. I left before he could think of a snappy comeback, enjoying my hollow victory. At least eight hours of applying sticky black goop stretched in front of me. It was not an inviting prospect. He grinned and pushed onward in his quest for hand tools. By the end of the day, my husband was adding to the dark cloud of profanity that hovers over jobsites. The welders were complaining, in both Chinese and English, that the masons weren’t moving fast enough. The masons accused us of holding them up, and we were in turn pointing to the metal workers, who’d done the smart thing and left the site early. The carpenters and drywallers were fighting over who would get the first shot at the main entry in the morning. All of this was completely normal. Every jobsite is an organized disaster, with everyone griping at the poor schmuck who had to run this thing. Sean sat next to me on a pile of two-by-fours, having weathered today’s storm of invective. “Well, it seems like everyone is missing stuff,” he said. “I blame the welders,” I replied without missing a beat, and he laughed. This was not an idle threat. Standing at six foot four, with arms encased in tattoos that did nothing to hide the muscles bulging beneath, Sean was like a jobsite guardian angel. Even when Tom was working another site, nobody gave me much grief when Sean was around. “Hey, it could work.” I was a firm believer in the therapeutic value of chocolate. But the next day the results were mixed. Everybody liked the cookies, the profanity levels decreased slightly, and Brad gave me the rest of the day off from his abrasive presence. But my favorite razor knife disappeared when I only set it down for a moment, and I could’ve sworn I heard someone giggle, which only made me madder. Raul, the drywall foreman, searched high and low for his missing level. 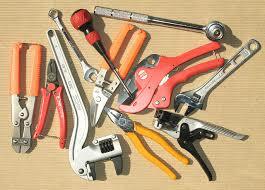 Tempers were really getting frayed over the missing tools. There’s nothing quite as maddening as climbing several rows of scaffolding only to discover you had to climb back down again because you lacked the right tool. The next morning we all had to sit through a jobsite meeting concerning the missing tools. Sean’s boss rambled on about how important it was to respect everyone else’s property, but the problem was that construction workers are, by and large, the kids in school who tuned out lectures. We’re nearly lecture-proof. The main thing the meeting did was to throw everyone off schedule and put them in a worse mood. “Don’t steal my knife today or we’ll have to sit through that again,” I told Raul as we walked away. Well, at least I was succeeding with somebody. I started waterproofing the south wall before the sun’s heat made me shift back to the north. But by the end of the day, I was furious. I’d set my keys down carefully in my bag in the back of the truck. I’d closed the door. And now my keys were missing. On top of that, I was working alone today, so Tom and his set of spare keys were at least a hundred miles away. I made the rounds, asking if anyone had seen them. I received some sympathetic profanity, but nobody had. Raul even translated for the drywallers, but they came up blank, too. “That does it!” I yelled. I marched off to the pizza place, followed by a quick detour into a convenience store. I brought my purchases back and sat next to them in front of the brick entry. Great. Now I had to outstay Sean. I wouldn’t put it past him to get all caught up and even work ahead. It was free pizza and beer, after all. Maybe I should’ve bought two pizzas. So I waited. I don’t carry a book with my tools, and I had nothing to do but sit and smell the siren call of melted cheese and sausage. I folded my arms. I would not eat the fairies’ pizza. If I was going to be foolish, I would be whole-hearted about it. I still waited until he drove away before I left. I bought a smaller pizza and ate it on the way back to my room. In the morning when I arrived back on site, the pizza box was laying on the top landing of the steps to the trailer. Heaped on it and covering the steps were a wide assortment of hand tools, with my keys at the very top. I used to project manage on construction sites and I love how accurately your portray them. My hubby is an electrician and we met on a job 🙂 And tools! He is the biggest tool misplacer ever. He loses all his and then uses and loses mine! My husband does the same thing! Do you know, once I was so fed up that I bought a girly hammer and tape measure? I paid extra money for these things, thinking no one else would want to use them. *sighs* They still disappeared. True or not I enjoyed it! Fabulous and totally entertaining story, and a family story to boot. A modern version of the elves and the shoemaker. Outstanding, Cathleen, just wonderful. And I could tell you actually know about construction. Also the Sean character would be my main suspect.